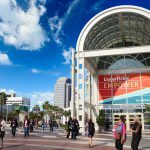 It’s almost our favorite time of year, when thousands of people converge in Anaheim, CA, for the Laserfiche Empower Conference! While you’re in town attending Empower 2015, why not enjoy the many activities Southern California has to offer? 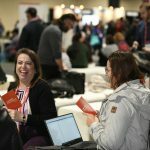 Here’s a list of theme parks, dinner shows, events and local sights you can check out when you’re not loading up on Laserfiche knowledge. The king of California theme parks, Disneyland is considered a must-visit destination for any Disney lover. Get your fix of Disney princesses, tea cups and nostalgia. Right next door is Disney California Adventure Park, where you can enjoy even more Disney-themed rides and performances. Highlights include World of Color, a 30-minute fountain, fire, fog and laser show, and California Screamin’, a classic wooden roller coaster with a 120-foot drop. Insider Tip: If you’re trying to decide between California Adventure and Disneyland, remember that the former serves alcohol while the latter does not. A mere six miles northwest of Disneyland is Knott’s Berry Farm, a more ride-focused theme park that will excite the thrill seeker within. The park has several roller coasters, family rides and live shows, and you can top off your visit with one of Mrs. Knott’s famous boysenberry pies. Insider Tip: Knott’s Berry Farm has shorter lines than the Disney parks, which should certainly appeal to your sense of efficiency! In the Downtown Disney District, this New Orleans-style jazz restaurant has all the flair of Disneyland with an extra kick of spice. Fill your belly with the Cajun and Creole inspired menu and fill your ears with the sounds of jazz and the revelry of Downtown Disney. Insider Tip: This place gets packed so book a reservation and give yourself 10-15 minutes to walk from the Downtown Disney parking lot to the restaurant. In nearby Buena Park you’ll find an entire street dedicated to dinner shows and exhibits. First on the list is Pirate’s Dinner Adventure, which features an 18th century Spanish galleon replica, a 300,000 gallon indoor lagoon and a massive staff of actors, singers and acrobats. 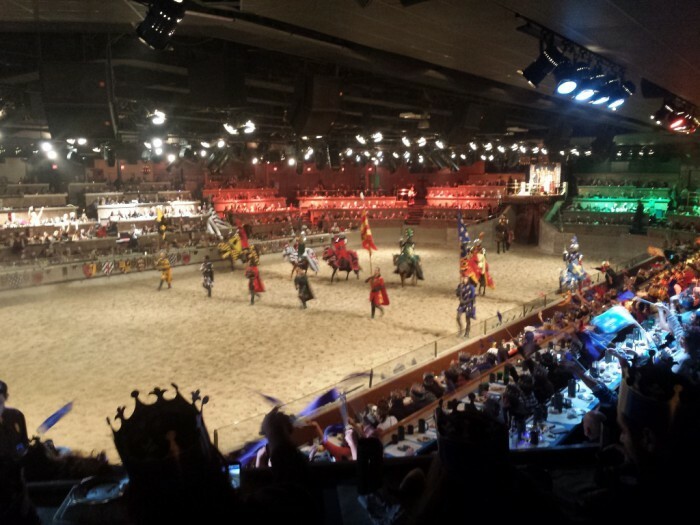 Next door to Pirate’s is Medieval Times, a giant castle filled with knights, squires, wenches and even horses. Root on the knights as they joust in the center ring. Come hungry as the castle serves half of a chicken per person for just one of the dinner courses. Insider Tip: Both Pirate’s Dinner Adventure and Medieval Times are offering discounted pricing for the new year. You can also gain free admission on your birthday! Also in Buena Park, Bodies: The Exhibition is not for the faint of heart—mainly because you’ll see actual human hearts. This exhibit provides an intimate look at the inner workings of the human body. Over 200 bodies and specimens fill the rooms along with information on how each system in the human body functions. Insider Tip: Visitors recommend 90 minutes to two hours to “ingest” all there is to see and read. Rounding out the list of Buena Park attractions is Titanic: The Artifact Exhibition. This is the place to go if you’ve always wanted to view the inside of the ship but didn’t have the money for a submarine expedition. Over 250 artifacts from the Titanic are displayed in replicated sections of the ship. Staff members are dressed in the fashions of the era and some even take on the roles of notable passengers and crew. Insider Tip: If you want to visit both Bodies and Titanic, buy the tickets together and receive a discount. 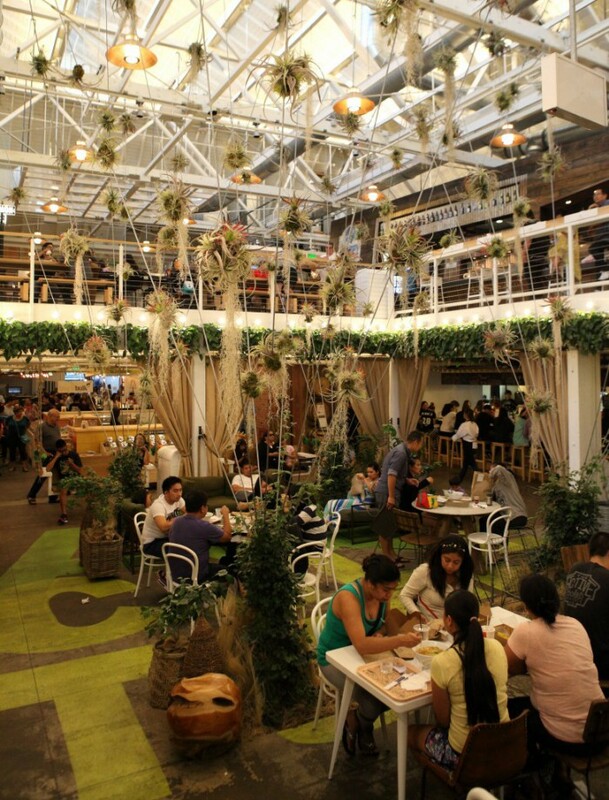 On a busy corner in downtown Anaheim is the Anaheim Packing District, a former warehouse turned smorgasbord of local food vendors. The venue is open every day and live musicians take the stage each weekend. This is a great place to sample dishes from a variety of eateries, so come with an empty stomach! Insider Tip: There is a hidden bar called the Blind Rabbit that you must enter through a secret door. The door is located on the first floor next to a Japanese restaurant called Rolling Boil. Keep in mind it’s a classy establishment—no flip flops allowed! To the southeast of Anaheim is Orange, CA, which boasts a charming Old Towne district filled with antique shops. You’ll find everything from vintage clothing to collectible baseball cards. Old Towne Orange is a great way to unwind after the hustle and bustle of Empower 2015.
Insider Tip: Take a guided food tour of Old Towne Orange to get your fill of food and local history! Last but not least is a destination for the beer connoisseurs at Empower 2015. A few miles north of Anaheim in Fullerton you’ll find Bootlegger’s Brewery. 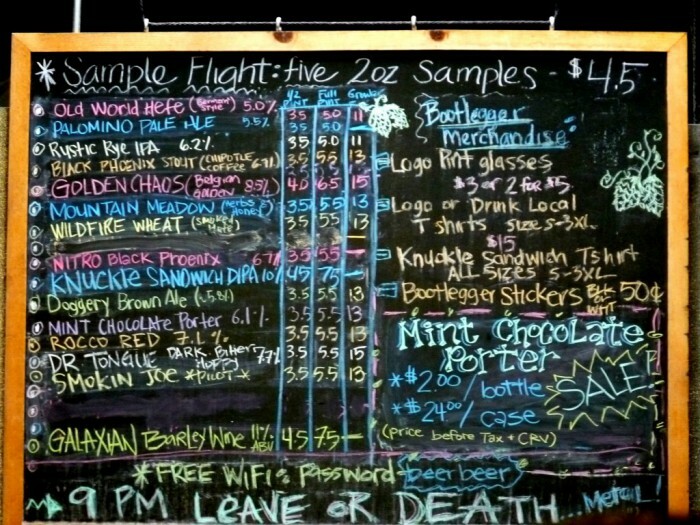 The microbrewery opened its doors in 2008 and has been crafting ales, porters and even one variety brewed with plums and rock candy! Bootlegger’s does not distribute its beer outside of Southern California so take advantage of the opportunity to try new brews! Insider Tip: Call the brewery during office hours (Monday-Friday, 9:00 am to 5:00 pm) to book a guided tour. If you’re a fan of hockey, why not check out a local hockey game? The Anaheim Ducks face off against the New Jersey Devils on Friday, January 16 at 7:00 PM at the Honda Center. Our Canadian friends in particular will know that there’s no better way to finish off a trip than watching men in ice skates smash into each other. Insider Tip: Right across the street from the Honda Center is The Catch, a restaurant and bar that serves up delicious food and plenty of microbrews. Its “game time” menu includes “The OMG Burger,” a five-pound burger served with two pounds of fries. It might be worth going to The Catch just to see if anyone’s crazy enough to order this behemoth! 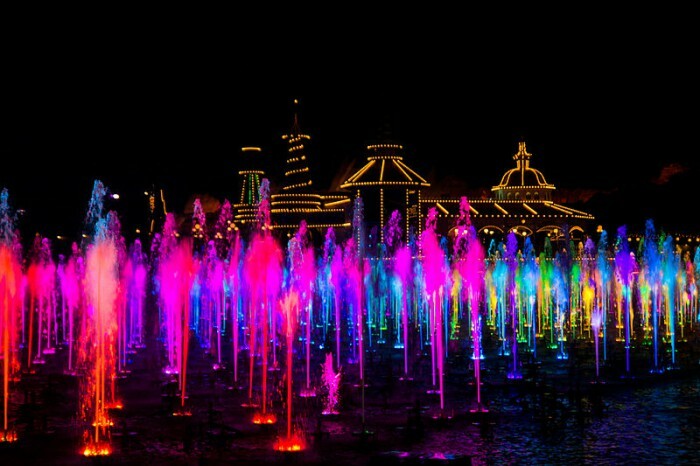 World of Color by HarshLight via Flickr. CC 2.0. Anaheim Packing District by Sam Howzit via Flickr. CC 2.0. Bootlegger’s Brewery by Paul Narvaez via Flickr. CC 2.0.